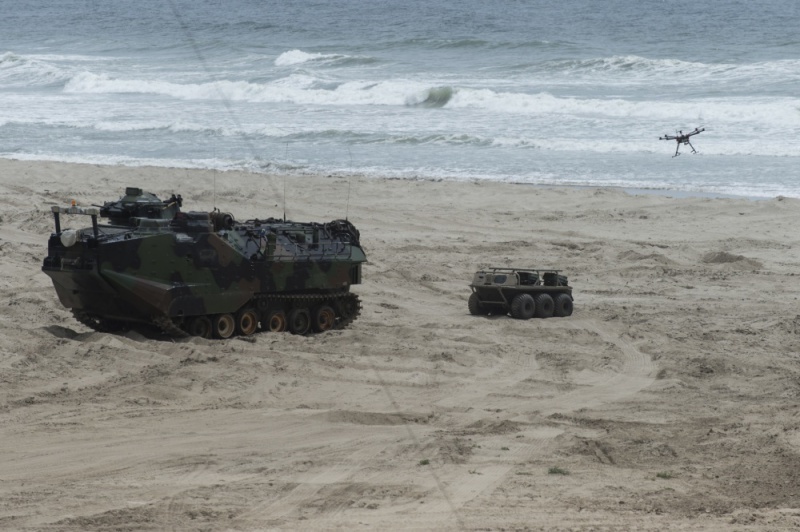 ARLINGTON, Va. --- Augmented reality systems and advanced wireless networks were among the technologies shown during the Ship-to-Shore Maneuver Exploration and Experimentation Advanced Naval Technology Exercise (S2ME2 ANTX) 2017-a set of amphibious exercises May 4 at Marine Corps Base Camp Pendleton in California. S2ME2 ANTX brought together industry, academia and the Naval Research and Development Establishment-which includes the Office of Naval Research (ONR) and various research laboratories associated with the Department of the Navy-to demonstrate emerging technology innovations. The exercise involved hundreds of Sailors, Marines and Department of Defense civilian employees and contractors.